Last night Justin Trudeau led the Liberal Party of Canada to an amazing and unexpected win, going from 34 seats in Parliament to a majority of 184 seats. Conservative Party leader Stephen Harper led his party to complete failure, losing 67 seats to come out of the election with only 99 seats in the 42nd Parliament of Canada. There was also bad news for the New Democratic Party, which went from having 103 seats and the position of official opposition to the third place party with just 44 seats. 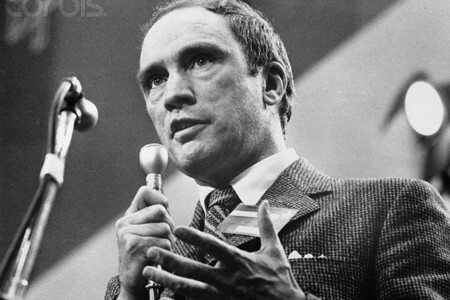 In 1968, Justin Trudeau’s father ignited a similar phenomenon when he became the leader of the Liberal Party. Considered one of Canada’s most prolific Prime Ministers, Pierre Trudeau is forever remembered for many key decisions made that changed the face of Canada. So is this Trudeamania part deux? 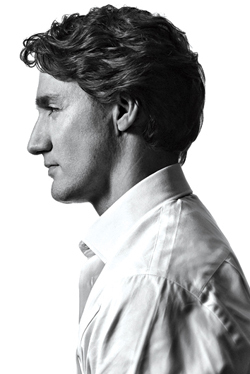 When Justin Trudeau won the party leadership on April 14 2013 many Canadians thought that he was perhap riding on his father’s coattails and banking in on the Trudeau name. He was considered too young and too inexperienced to be the leader of the party. Even in the 2015 Federal election, the Conservatives generated attack ads that implied repeatedly that he was too young and too inexperienced to lead the country. A former teacher who also studied engineering, first came into Canadian politics on October 14 2008 when he was first elected MP in the riding of Papineau – taking the seat from an incumbent Bloc Quebecois party member. He was appointed the Liberal cirtic for multiculturalism and youth, later the critic for youth, citizenship and immigration. After winning re-election in 2011, where his party performed dismally and became the third party in parliament, not even the official opposition, he was appointed the critic of post-secondary education, youth and amateur sport. He also took our Senator Patrick Brazeau in a charity boxing match. Yet between the time of his party leadership win in 2013 and his election as Prime Minister on October 19 2015, Trudeau has shown himself to be a capable leader. He wasn’t just banking on name recognition – he was showing himself to be different than his father with his own strengths. He demonstrated repeatedly his knowledge and ability to debate during the many debates leading up to the election of the 42nd Parliament. He took those two years and listened and learned. Now we have to see if he will be able to govern. You can never know for sure how someone will do with the Prime Minister position. Clearly, Canadians think he isn’t too young or inexperienced. His party shockingly won a majority in a race that was for most of the campaign considered nearly a three way tie. His upset was historic and amazing to watch unfold, starting with capturing the entire east coast, then ridings which had not gone Liberal in five decades, then capturing at least one seat in every province and all three territories. This entry was posted in Uncategorized and tagged 2015 Canadian Federal Election, Canada, Justin Trudeau, Trudeaumania by Adelaide. Bookmark the permalink.